Since the release of "Voodoo" back in 2000, D'Angelo has been to hell and back...and when I say hell...I mean it. From the massive weight gain, the near death car accident back in '05 where his hummer flipped over 3 times and he broke all of his ribs on his left side and the fallout between him and Questlove for leaking the demo version of "Really Love" to being arrested for trying to get some head from a undercover female officer, record label hoopla and the death of his close friend and collaborator J Dilla. And how on earth could I forget about the coke...you can't ever leave out the cocaine part of the story right? And if we're talking about the coke then we gotta talk about the liquor. And if we're talking about the coke and the liquor, then we gotta chop it up about rehab. Yeah, the rehab that D' already failed to get through twice until he ended up at Eric Clapton's Crossroads rehab in Antigua where he was finally able to get back on point. But even with him being back on point, this dude didn't even have a record deal which is bugged the hell out. Could you ever imagine someone like Stevie or Marvin NOT having a record deal? Nah. But eventually D' signed with Clive Davis' new imprint J Records back in '07 but now the hard part was actually getting this dude to record an album. And if you know anything about D' it's that he's cut from the Sade/Pharoahe Monch cloth of releasing albums every five to fourteen years, so getting him to finish an album is a lot easier said then done. And since that's easier said then done, it's only right that over the last 14 years, there have been rumblings of a new D'Angelo album finally about to drop, a song floating around or Quest posting on okayplayer saying something about about being in the studio with D' or hearing a song but nothing ever really saw the light of day. 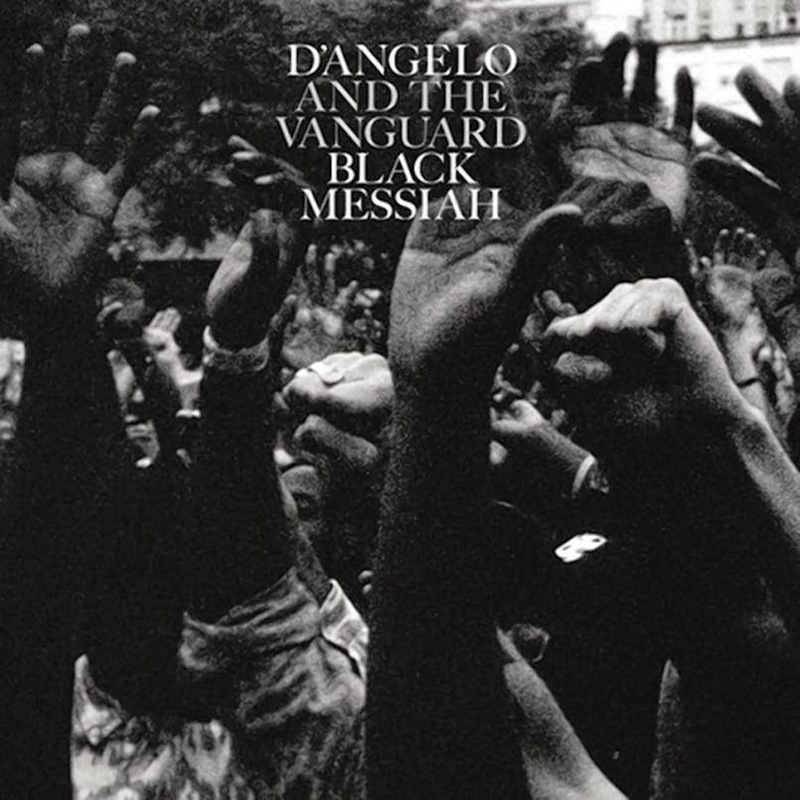 So when my dude Jas hits me up on a Friday with a text with a picture of an actual CD called "Black Messiah" by D'Angelo and The Vanguard with "December 16th" under it...I couldn't bring myself to believe it. I'd been let down too many times thinking D' was gonna actually lace us with something to fall for this banana in the tailpipe. But after doing a lil more diggin' I peeped that there was gonna be a listening party in NYC on Sunday for the album. But that still didn't mean that it was dropping on the 16th. But I won't hold you, I was actually starting to get hype. Next thing I know, it's Sunday and I'm seeing that the listening party actually went down and real songs were played! Now, I forgot how word got to ear (probably Twitter) but next thing I find out is the album is dropping Sunday at midnight on iTunes. So by 9:30 (guess itunes let it leak a lil early) something I actually never thought would happen...was actually happening. I was actually listening to a new D'Angelo album...and the ish is damn good. “Sugah Daddy” sets off where “Chicken Grease” left off and is just as funky and after what seems like years of listening to the bootleg version of “Really Love” we FINALLY get the finished version and it was well worth the wait. Side B (yup…you know good ole analog D’ freaks “Black…” with an A & B side) sets off with “Back to The Future” which is classic D, “Till It’s Done (Tutu)” has D’ breaking down what’s going on in the world, “carbon pollution is heating up the air, do we know do we even care/acid rain dripping on our trees and in our hair, are you there/clocks ticking backwards on things we’ve already built, sons and fathers die, soldiers daughter killed/questions ain’t do we have resources to rebuild, do we have the will” but even with all of the hoopla going in the world, D’ schools us on what we gotta do to solve these problems over the pyschadelic “Prayer.” “Betray My Heart” will take you back to Voodoo’s “Spanish Joint” and D’ gives you some good ole down south country blues, whistles and all on “The Door.” The album couldn’t close any better then it does with “Another Life” which is that classic D’ slow jam that’s a prerequisite for any D’ album and has him going toe to toe with himself on the vocal tip. So, the most important question after 14 years of waiting is, was “Black Messiah” worth the wait? And the answer is simply hell yeah! The wild part about it is, I’ve basically been listening to side A for the past two years. See, a minute ago there was a D’ show from Paris that was floating around that had “Ain’t That Easy”, “The Charade”, “Another Life” and “Sugar Daddy” on it and any REAL D’ enthusiest had already heard “Really Love” with the Questlove “you didn’t get this from me” tag line on it a million times and I’ve had “1,000 Deaths” (minus Quest’s drums) for at least 3-4 years so trust me when I say that you’ll still be banging this album 2-3 years from now. Now, let me deal with all of the D’ hate that’s I’ve been hearing since this dropped. I’ll start with the whole “I don’t understand what he’s saying” ish. Riddle me this…when could anyone EVER understand D’?!?!? His nickname for years has been D’mumbles. That’s like somebody saying “DMX is always barking like a dog.” For real? That’s what money does…he barks like a dog! You either like it or you don’t. So if you even bothered to listen to any of “Black Messiah” then you must rock with D’ and if you rock with D’ then you rock with not understand 75% of the words coming outta his mouth. Now, for the “it don’t sound like Brown Sugar D’Angelo” folk…let me quote Shawn Carter and be done with ya’ll, “if you want my old ish, buy my old album.” Any other negative hoopla with this album? Naw…I think that was about it. So with the negative outta the way, all I can say is back when cats were saying this dude was the next “fill in the blank” everybody was absolutely on point cause this dude is the truth. I mean, do you get that this dude has dropped 3 classics in a row? And one of ‘em came after 14 years …14 FREAKING YEARS! Do ya’ll get that? D’ reminds me a lot of Outkast (who just happens to be my fave hip hop group ever) cause I knew dudes who loved “Southernplayalistics” but by the time “Aquemini” dropped, they were done with Kast. Whether it was the way Dre dressed or their new sound, the moral was cats ain’t rock with them anymore. And I get it cause “Bombs Over Bagdad” doesn’t sound NUTHIN’ like “Benz or Beamer” but don’t front like “BOB” wasn’t crazy. See that’s the thing, not everybody can do what Kast can do (and trust, folk have tried and failed miserably) and it’s the same with D’. Cats like them, you can’t keep them in a box or better yet you don’t wanna keep them in a box cause if you do, you don’t get classics like “Aquemini” and “Voodoo” and now “Black Messiah.” Oh yeah, you peeped that right, “Black Messiah” is mos def getting the coveted 5 mic classic label from over this way. And before cats say I’m giving it 5 mics cause it’s D’ or cause I’m caught up in the moment…remember I’ve been living with half of this album over the past 2-3 years so when I tell you about the replay value of this album I know what I'm talking about and isn’t that a huge chunk of what makes a classic a classic? And to all of the cats who aren’t feeling “Black Messiah”, I’ll just tell ya’ll the same thing I had to tell folk 14 years ago when “Voodoo” dropped and I’ll quote my dude Master Ace this go ‘round to help me get my point across and that’s “sleep if you wanna, go head get some shut eye” cause that’s what cats are doing...and then cats got the nerve to be sleeping on the wrong one at that. Cheesing over here! Great commentary. You have a gift with words that make one visualize and feel as they read.